Young children love to hear the same story over and over. Our dental hygienist told us what she does to keep from going nuts. She calls that old story up on YouTube. 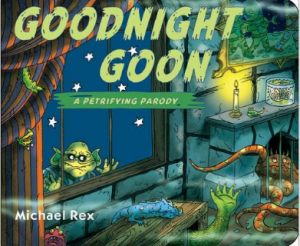 So we searched on “Goodnight Goon,” a Halloween classic. Our dental hygienist had been reading it to her two little boys every day for a year, until finally she called it up on YouTube. This was definitely the right thing to do. Because whatever the story, there’s someone reading it aloud. Be specific in your searches: We searched on “Cat in the Hat read aloud” and there he was. There were several readers and they all showed the pictures in the book; one had half a million views. You can subscribe to a channel such as “Reading Pioneers” to find out when they post a new one. But you are not limited to children’s stories, not at all. You can have Gone With the Wind read to you, or War and Peace. They’re both guaranteed to put us to sleep. But as they say on late night TV commercials: “That’s not all you get.” We turn to YouTube when we don’t know how to do something. Every time we get a new product, for example, we go to YouTube to see the set up and get tips on operation. You can find set-up and user demos on just about anything: vacuum cleaners, can openers. drones, new TVs with impossible to figure out options, and on into the night. We also go there on health matters. We recently searched on “how to put drops in your eye,” for example. It was surprisingly instructive. Joy’s disabled friend Nancy needed eye drops four times a day, starting two days before her cataract surgery. But every time Joy tried to put the drops in, Nancy involuntarily closed her eyes. YouTube explained how to do it: Put a drop in the corner of a closed eye and let the person blink it in. Or have the person hold down their lower lid while you lay a drop in there. It turns out that only the pupil is sensitive to touch. 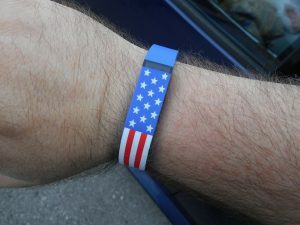 Do Fitbits and other wearable devices make you exercise more? According to the Journal of the American Medical Association, those who use step counters and other trackers actually exercise less. We find this hard to believe, but it’s backed up by Lancet, another prestigious journal. Their reasons? The constant monitoring either makes you discouraged or complacent. One out of five Americans has one of these things. Joy, who has a normal pulse rate of 44 and needs no fitness training, has tried several. Before she lost it, her favorite was the “Vivofit” from Garmin. It shows a red line across its tiny screen to tell you you’ve been sitting too long. But it also tends to pop off if you wear it on an ankle, which is how Joy lost hers. What if Hillary Clinton had used encrypted email? Would she have avoided the great bugaboo of her campaign? Naturally enough, that’s what the people at “StartMail” say. It’s a $60 a year encryption service. The company doesn’t respond to requests for information, even from the U.S. government. It’s based in Holland, where U.S. data collection methods do not apply. They say they have never cooperated with the U.S. National Security Agency, and unlike many free services, they themselves cannot read your mail. StartMail allows you to send unreadable email that becomes readable when the recipient answers a secret question. All they see at first is your name and the subject line. Your “sent mail” folder is also encrypted. The service saw a surge in membership after Yahoo recently admitted that 500 million email addresses were hacked. 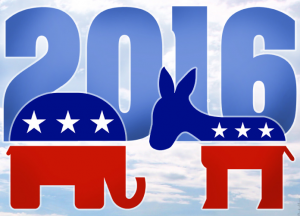 BallotReady.com gives you a complete ballot with links to information about all the candidates. Just put in your address. If you live in California, the results are insane. Search on the phrase “hidden Roku tricks” to find PC Magazine’s article on how to get the most out of your Roku, a streaming media player. We like the idea of putting a movie or favorite actor on your watch list. Select “My Feed,” and then search for the one you want to add. “Itcher” is a free iPhone/iPad/Android app for deciding what movies to watch, what books to read, what music to listen to and what games to play. Start by rating five things in each of those categories. If you make a mistake, you can undo your rating. We accidentally rated a Beatles book highly and got too many Beatle book suggestions. So we tapped on our rating to undo it. “Loop by Seedling” is a free app for iPad/iPhone for looping photos together in a non-stop animation. Their sample video shows two stuffed animals playing tic tac toe. We tried to make a bunny appear to be throwing a ball. The movie business need fear no competition from us. Our friend was all set to enjoy a live streaming event on the Web when a screen message asked her to install an updated version of “Adobe Flash.” We showed her she can avoid this sort of thing by using Google Chrome instead of Internet Explorer or Firefox. A year ago, Google execs got so annoyed with Adobe Flash software that they started blocking it. (Interestingly, Steve Jobs felt the same way about Flash and banned it form Apple.) 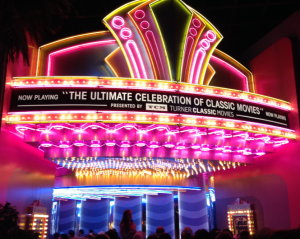 Websites now must use a different kind of video player if they want their content to be seen. So you don’t need Flash to watch a movie or video on Google Chrome. If you do use Adobe Flash, keep it updated. Hackers can take advantage of older versions.